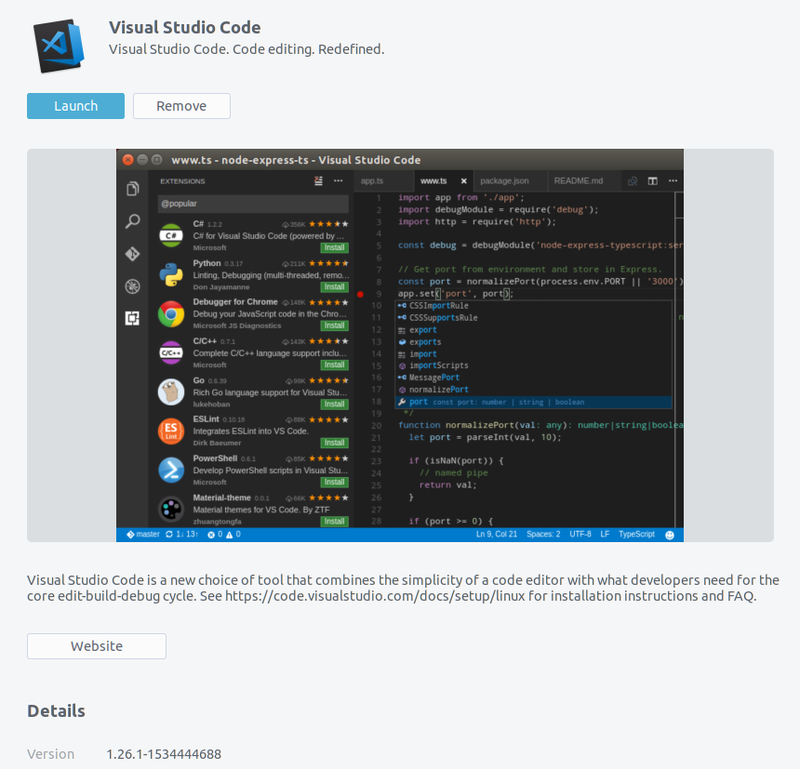 If I click the downloaded .deb file again it still shows me that I can install it and NOT launch it, even if the installation was successful (I can check it by opening VSCode from the dock and check the version). Why is Ubuntu not showing me the updated version in the Software Center? How can I show this post to Canonical, so they can finally implement a NOT buggy installation/update process? Browse other questions tagged software-installation updates software-center deb or ask your own question. Where are the deb files downloaded by Software center and the update manager stored? Wrongly installed google chrome 32-bit version, what can I do now?